Electric Octopus is an instrumental jam band from Belfast, United Kingdom. The band, founded in 2016, has already released a considerable number of albums, mostly available as digital downloads. On "This Is Our Culture", the band's debut album, the three young talented musicians have managed to build a bridge between psychedelia and jazz. Their long, extended improvisations are inventive and presented with incredible ease. “This Is Our Culture” is soulful, funky, heavy and bluesy and gives you everything you expect from a freeform jam band. As a bonus, the vinyl edition includes "Color Atlas", a jam that was also recorded in the Railway Recording Studios around this time. Mastering by Dirk Jan Müller. LP’s are coming in fully-laminated thick matt sleeves and black padded inner sleeves. Any vinyl purchase includes a high-quality download. Sista Maj is a Swedish improv rock outfit consisting of four musicians who are mainly active in various other bands. Under the direction of Jonathan Segel (Camper van Beethoven, Öresund Space Collective and others) on guitars and violins and some other stuff Mikael Tuominen (Kungens Män, Automatism and others) takes over the bass, Andreas Axelsson (Eyes Make The Horizon, Lisa Ullén and others) the drums and Per Wiberg (Opeth, Spiritual Beggars and others) the keyboard. The music of Sista Maj can be described as instrumental hypnotic intense psychedelic rock in the great Northern European tradition, which ranges from Krautrock to the Swedish progg. The vinyl edition, mastered by Eroc, contains some exclusive bonus tracks. High quality pressing made in Germany! Vinyl are coming in fully matt laminated thick sleeves and black padded inner sleeves. This music was performed at the Manikin-Records 10 year Anniversary Festival at the Toskana-Therme in Bad Sulza on Saturday the 6th of April 2002, late evening (11:00 p.m. to 1:00 a.m.). 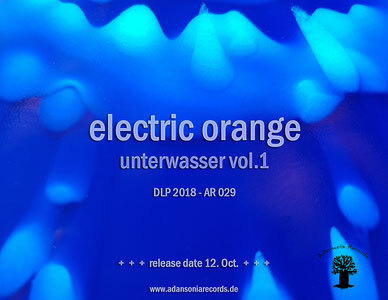 Contrary to any other Electric Orange albums, this was only a 2 member electronic performance using analogue synthesizers, organ, guitar, vocoder, sequencer, tapes and sampler (no computers). The music they have played was based on some tracks from their 2001 release “abgelaufen!”, some older and some new tunes, but one could only recognize some basics of these tracks, because all music happened spontaneously, was improvised. Recorded directly to stereo, a mix of an artificial head source and their mixer. Listen with headphones to experience the real atmosphere of the concert! Mastering by Dirk Jan Müller. LP’s are coming in fully-laminated thick matt sleeves and black padded inner sleeves. This music was recorded 2002 at the Mankin-Records 10 year Anniversary Festival at the Toskana-Therme, a beautiful thermal bath in Bad Sulza/Germany. Electric Orange played 2 sets (each 2 hours) - one early in the morning and another one late evening. 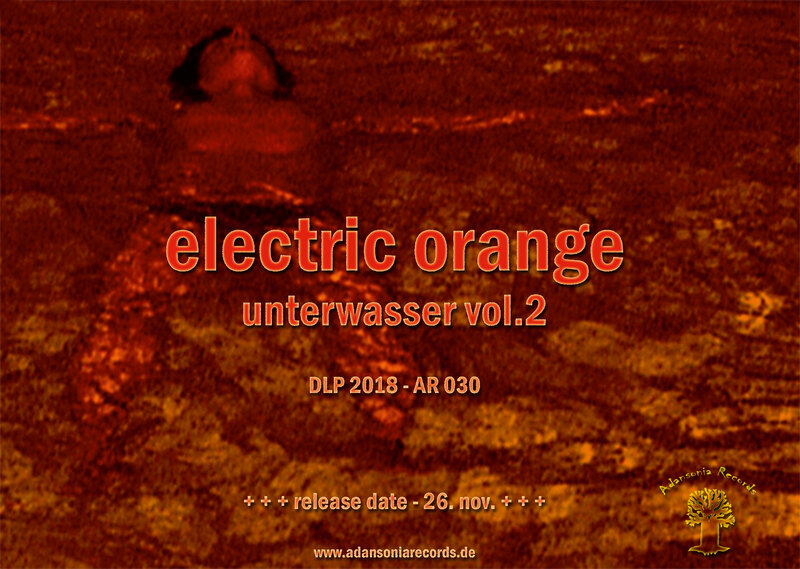 Contrary to any other Electric Orange albums, this was only a 2 member electronic performance using analogue synthesizers, organ, guitar, vocoder, sequencer, tapes and sampler (no computers). The relaxed and very warm atmosphere in the bath influenced the music of the band a lot. The result was a very floating, spacey performance of Electric Orange. People were drifting in the water, were lying around, all almost naked, listening to the music over- and underwater. As on "Karma Suture," one of their formerly releases, Fungal Abyss' latest studio album "Benevolent Malevolence" features two free-flowing, improvised monster jams, each lasting over 20 minutes. Lysergically influenced the band takes you on a journey into a seemingly unmanageable universe of sound. Another totally thrilling soundtrip from the underground of Seattle! 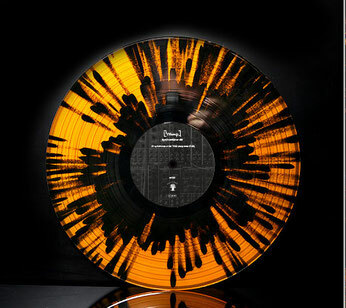 High quality vinyl pressing made in Germany! Vinyls are coming in fully matt laminated thick sleeves and black padded inner sleeves. The time has come for the yearly double album by Kungens Män. This time they are digging deep, starting off very calmly and inviting us gently to the ride. Off it goes, in many different directions and moods. Sometimes noisy and fuzzy and creeping up on you from behind, but with a melodic and somewhat jazzy vibe. Always in trance. It builds and breaks and all ends with the deepest sound trip Kungens Män have offered us this far into their journey. These Swedes are certainly doing their best to make Sweden psychedelic again. LP’s are coming in fully-laminated thick matt sleeves and white/red padded inner sleeves. Atavismo ist ein experimentelles, progressives, psychedelisches Space-Rock-Kollektiv aus Algeciras/Andalusien. Zusammen mit anderen Bands auf der ganzen Welt lebt es eine wahre Wiedergeburt von Progressive, Psychedelic, Space, Krautrock und Hard Rock. Auf ihrem dritten Album "Valdeinfierno" präsentiert die Band einen abwechslungsreichen, packenden Mix aus Prog, Psychedelic, Fuzz und Jamrock. Nachhaltig inspiriert von der großartigen Musik der späten 60er und frühen 70er Jahre, verliert Atavismo aber nie den Kontakt zu den Wurzeln ihres Herkunftslandes. Elemente von andalusischem Folk und Afrobeat aus dem benachbarten Afrika verleihen ihrem Sound einen ganz eigenen Charakter. Eingepackt in ein kurzes Intro und Outro bietet die EP vier Tracks und wurde im Estudios Trafalgar in El Palmar/Cádiz aufgenommen. Das beeindruckende Cover wurde vom spanischen Antonio Ramirez erstellt. Hochwertige Pressung, hergestellt in Germany! Kommt in dickem, matt-laminiertem Cover mit schwarzen, gefütterten Innenhüllen. Jeder gekauften Platte liegt ein high-quality download bei. Atavismo is an Andalusian-based experimental progressive, psychedelic, space rock collective from Algeciras. Along with other bands, it’s living a true rebirth of Progressive, Psychedelic, Space, Krautrock and Hard Rock around the world. 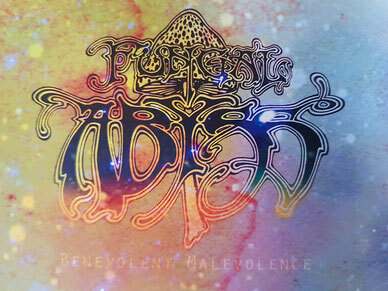 On their third album "Valdeinfierno" the band presents a varied, capturing mix of Prog, Psychedelic, Fuzz and Jamrock. Sustainably inspired by great music of the late 60's and early 70's, Atavismo never loses touch with the roots of their country of origin. Elements of Andalusian folk and Afrobeat from neighboring Africa give their sound its very special character. Packed in a short intro and outro, the EP features four tracks and was recorded at the Estudios Trafalgar in El Palmar/Cádiz. The impressive cover was created by Spanish artist Antonio Ramirez. High quality vinyl pressed in Germany! Studio album no. 4 - 7 different tracks - 7 different atmospheres. On the new studio album "IV" Dirk Jan Müller presents - the result of further explorations of the electronic sound of the 1970s and beyond. But unlike the previous albums, this one is based on a completely new approach. 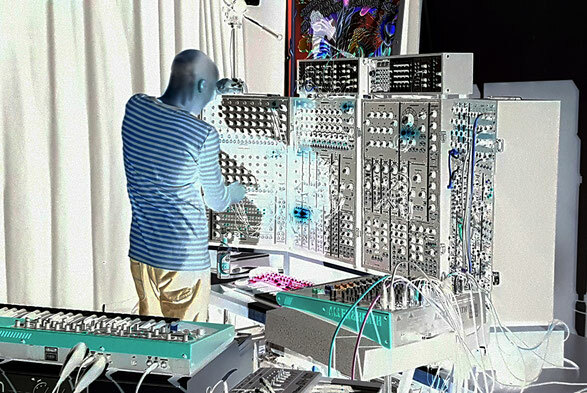 Therefore, in addition to his traditional equipment consisting of analog modular synthesizers, Mellotron, string ensemble, Minimoog, on "IV" he also used instruments that he never has used before on a Cosmic Ground album (tape echoes, audio generator, vocoder). What can be heard now sounds more basic and minimal, but on the other end more intense atmosphere and more deep space. Appears as a DELUXE DOUBLE-LP edition on 180-GRAM VINYL, presented in a gatefold sleeve and including a download code with additional bonus track. Auch auf ihrem neuesten Werk "ROTATE!" (das 32. in der langen Bandgeschichte) ziehenGuru Guru wieder alle Register und lassen sich wie immer in keine Schublade stecken. Dabei passt der Titel "ROTATE!" sprichwörtlich wie die Faust aufs Auge, denn Guru Guru haben in ihrer langen Karriere nie musikalischen Stillstand gezeigt, sondern waren immer auf der Suche nach neuen Galaxien und Experimenten! Das zeigen auch die 11 Songs auf dem neuen Album. Für "ROTATE" hat sich das Adansonia Records etwas ganz Spezielles einfallen lassen - so erstrahlt das Artwork der LP Version zum 50. Bandjubiläum als dreidimensionales Lenticular. In dieser Form wird nicht mehr nachgepresst. Also schnell zugreifen! Kommt in schweren 3D deluxe Lenticular Klappcovern mit schwarzen, gefütterten Innenhüllen. Vinyl mastering by DJM. Also on her latest work "ROTATE!" (the 32nd in the long band history) Guru Guru pulls all registers and, as always, cannot be put in a drawer. It fits the title "ROTATE!" 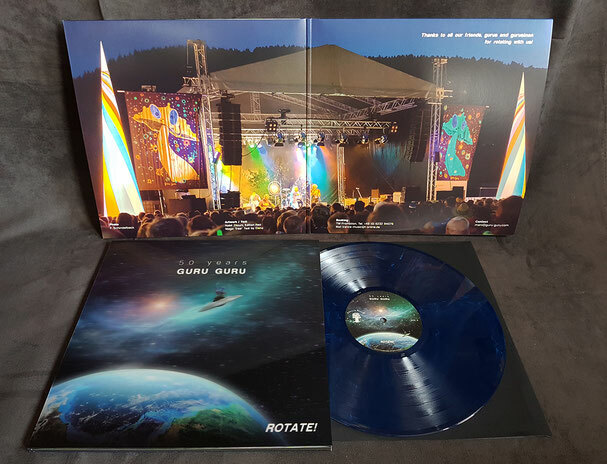 literally like a fist to the eye, because Guru Guru have never shown musical stagnation in their long career but have always been in search of new galaxies and experiments! This is also shown by the 11 new songs on the new album. For “ROTATE!” Adansonia Records has come up with something very special - the artwork of the LP version for the 50th anniversary appears as a three-dimensional lenticular. The album will not be repressed in this shape again - so don’t sleep! Comes in heavy 3D deluxe lenticular gatefold cover and black, polylined inner sleeves. 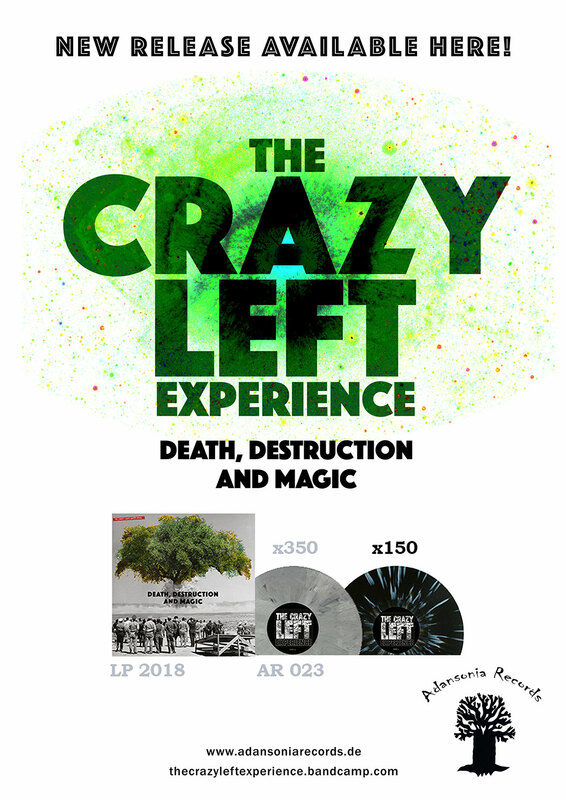 On “Death, Destruction And Magic” Lisbon-based space-jammers The Crazy Left Experience presenting a compilation of their most recent jams into outer space musical exploratory moments. Four instrumental tracks of cosmic soundscapes, wherein they give wing to their own interpretations of the rock universe and experimentalism. The menu is Psy-Rock solid and full blown nutritious, for all those of us, that love to fill up our belly-brains with pure vitaminic psychedelic rock jam sessions. 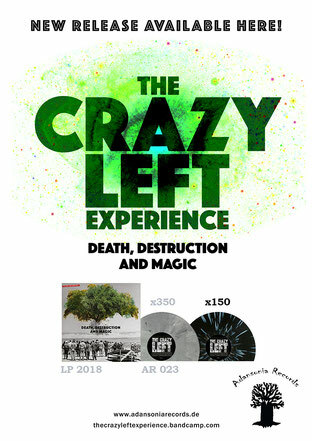 Sit back, relax and enjoy the drifting, acid drenched sounds of The Crazy Left Experience. 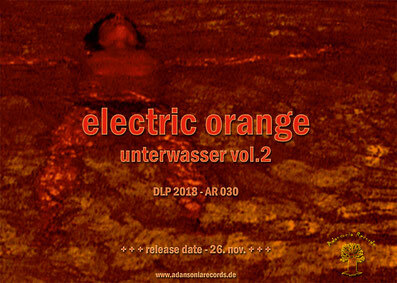 High quality vinyl pressed in Germany and mastered by Krautrock legend Eroc. Comes in fully matt laminated thick sleeves and black padded inner sleeves.